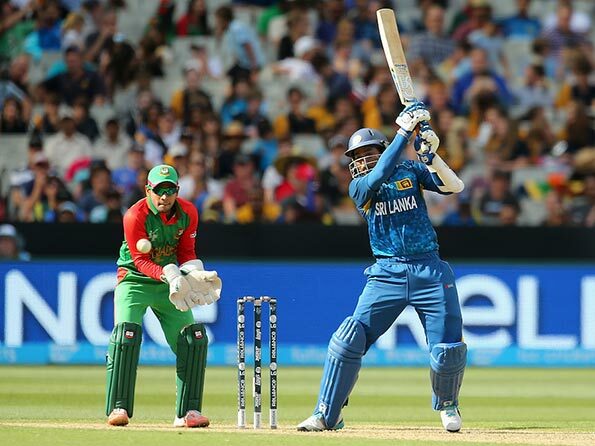 Sri Lanka scored 332 for one after electing to bat in their World Cup Pool A match against Bangladesh at the Melbourne Cricket Ground a short while ago. Tillakaratne Dilshan was unbeaten on 161 after an opening stand of 122 with Lahiru Thirimanne (52) and Kumar Sangakkara hit 105 not out in his 400th one-day international. Dilshan and Sangakkara added an unbroken 210 runs for the second wicket.